It's December! Now's a perfectly acceptable time to sprinkle some more of That Christmas Feeling around the webisphere. My daughter's found her reindeer antlers and we're about to pull out the Christmas Tree. 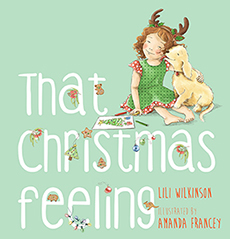 As promised, here's a time-lapse video of my illustration process from That Christmas Feeling picture book, written by Lili Wilkinson. For those who are interested in the more technical aspects of my illustration process, I have a longer version of this video including descriptive captions, explaining my technique here. 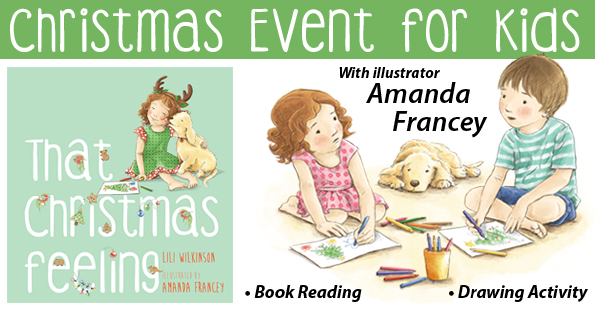 I've recently added some activities themed around That Christmas Feeling picture book to my Kids Activities page. Be sure to print out some of these to keep your kids busy over the holidays. Well, busy enough for you to enjoy a quiet cuppa at least. A gorgeous, heart-warming story about misplacing the Christmas spirit, and finding it again.